After a few practices, the band performed live for the first time in a Buenos Aires venue receiving a great acclaim and enthusiasm from the public, so decided to record his first four songs, collected in their demo entitled “Gordas Putas” while the band continued to playing throughout the Buenos Aires and its suburbs. 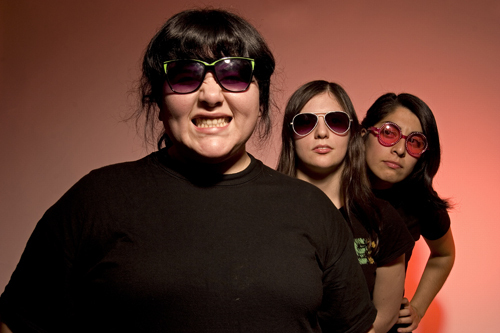 The impact of the uninhibited and different proposal as regards female gangs were huge, and a short time, the band get the support of different media and the public from Buenos Aires’ underground scene. Traveling through scenarios and gathering experience on stage, the middle of 2008 the band underwent a change of members and start recording what is their second demo “Año Nuevo Chino,” it features 10 punk rock songs of simple melodies and characters unusual, material that can be heard through your Net Label MAKING BIG and their websites, which have already received thousands of hits from listeners around the world, which was presented on the “Indies Puestas Tour” playing in Buenos Aires and Greater Buenos Aires as well as the towns of Pinamar, Mar Del Plata, Bahía Blanca and the neighboring country of Uruguay.